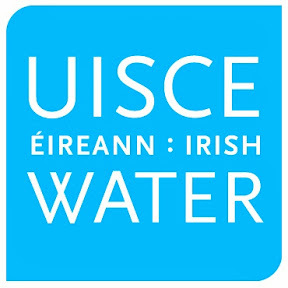 The current debates and ongoing controversies surrounding Irish Water have clearly led to a certain degree of panic in Government circles with new policies and proposals emerging in an ad hoc manner as the crisis continues which have certainly fed the ongoing protests. The right to protest against a Government is a crucial part of any modern democracy and is a well recognised manifestation of the rights of freedom of expression and assembly. More unusually however, are protests which target the President of the Ireland such as those seen in the last few days. There have been suggestions that protesters are disappointed that the President signed the bill to bring about Irish Water and as a result has been targeted. My colleague at NUIG, Dr Eoin Daly has argued that we over constitutionalise our politics far too often in Ireland and I would tend to agree. The Office of the President is often seen as being “above politics” however, as my colleague at UCD John O’Dowd notes that does not absolve the President of any and all criticism. There is however a generally accepted convention that the Government in particular should not be seen to criticise the President (although in practice this seems t o broadly apply to all elected officials). The most famous example of the operation of this convention arose in 1976. President Ó Dálaigh referred a piece of anti-terrorism legislation to the Supreme Court using the powers under Article 26 and subsequently the then Minister for Justice Paddy Donegan criticised this decision. Although Minister Donegan offered his resignation to the Taoiseach for the perceived flouting of the convention the resignation was not accepted and President Ó Dálaigh himself resigned when it was clear that Minister Donegan was to carry on in office. In the years since successive Governments have tended to avoid criticising the President openly even in circumstances where is was widely known that there were very significant strained relationships between various Presidents and the Governments of the the day. For their part successive Presidents have respected the limits of their constitutionally defined roles albeit with some of the more recent occupants willing to push those same limits. When it comes to the day to day running of the State the President’s role is very much confined and the Office lacks any role in formulating national policy. There was however a potential interesting avenue which was mooted but not explored during the debates over Irish Water concerning a power vested in the Seanad and the President by Article 27 of the Constitution. Article 27 allows for the a majority of Senators in conjunction with 1/3 of the Dáil to petition the President to refer a bill, such as some (but not all) of the proposed bills in connection with Irish Water, to the Irish people. The President would then have to decide if such a bill should be referred to the Irish people after consulting with his Council of State. If he were to decide to do so then the people would ultimately get a say in whether the bill would become law. In the event that the people were to reject the bill the President would then decline to sign the bill. If this happened the rejected bill would have either needed to be completely reconsidered and redrafted or approved at a later date by the Irish people or a newly convened Dáil with a fresh democratic mandate. Essentially if the people rejected such a bill it would be dead in the water. It is important to note that the Article 27 procedure is not open to every single bill in a straight forward manner (typically what are known as money bills are excluded). While the current political make-up of the Dáil and the Seanad it is entirely within the realms of possibility that sufficient votes could be mustered to force such a situation and could ultimately represent a vindication of the people’s decision to keep the Seanad the passing of and signing into law of the parent bill however would seem to diminish the likelihood of any Article 27 procedure being invoked. There were a number of calls made for the President to refuse to sign the bill however in the absence of any Article 27 procedure there would be no authority for him to refuse to do so. Clearly in the President’s mind there was a lack of any sufficient doubts as to the constitutionality of the bill to assemble the Council of State and invoke the Article 26 referral procedure. When this happens the President, after consulting with the Council of State, can decide to refer a bill to the Supreme Court who adjudicate on the constitutionality of the referred legislation. It is difficult to see any particular element of the Irish Water legislation which could have given rise to concern from a constitutional point of view. The President was left with no option but to sign the bill which had been passed by both Houses. If there is to be any constitutional role in the Irish Water saga now it’ll have emerge from challenges to the legislation and its operation rather than a prescribed constitutional process. It is worth noting that if the President had chosen to refer the bill to the Supreme Court and if the Court had upheld the constitutionality of the bill it would have been immune from any further challenge. Dr Seán Ó Conaill is a lecturer in Constitutional Law at University College Cork.